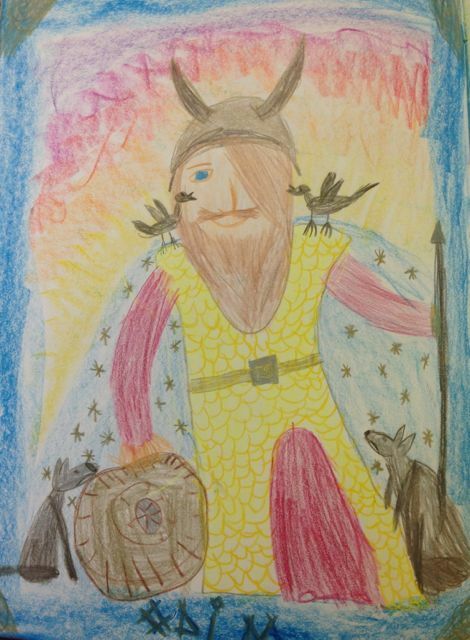 The fourth grade language arts curriculum is based on the stories of Norse Mythology. These tales from Scandinavia are full of epic battles, trickery, jealousy, greed, and magic. The excitement and conflict woven throughout these stories speak directly to the transitioning worldview of the nine and ten-year-old child. These Nordic gods are not idyllic and infallible- they are flawed and petty, as well as mortal. Though they live long lives, they can eventually die, and this adds an element of reality and consequence to their adventures. The fourth grade student is endlessly curious about the world around them. They are now beginning to be aware of how large the world really is, and they want to know how it fits together. This is the reasoning for including geography and zoology in this grade. The Norse story of Creation, however, also addresses similar questions as these blocks: What makes us human? How do we fit into the world? What role do we play in taking care of the land and animals around us? An additional part of figuring out who they are and how the world works is the realization that there is room for ‘grey area’ in most things. The Norse myths demonstrate a wide range of moral ambiguity as Odin, the All-Father, attempts to settle disputes between the gods. 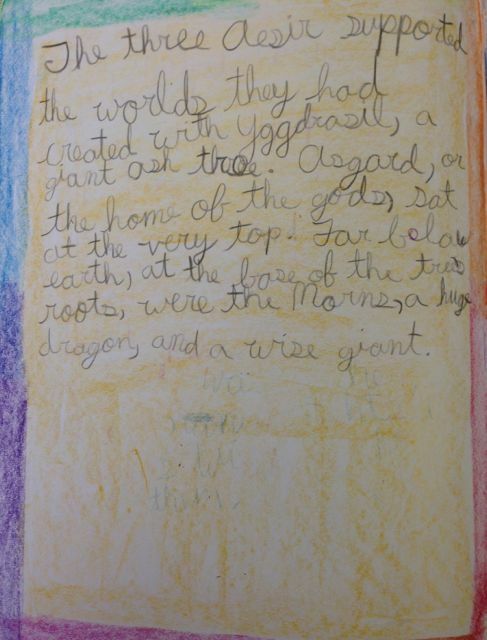 Unlike the straightforward sense of justice served in the fairy tales from first and second grade, the students are beginning to toy with ‘rooting for the bad guy.’ They love the mischievous character of Loki, and find themselves empathizing with him in his trials. Language arts blocks provide us with time to process these big questions while diving into story and exploring this rich mythical world. I established a steady rhythm of hearing a new story at the end of one day, and returning to it the next day to complete our application and bookwork portion. We first revisit the story to recall what took place, then work on a drawing in our main lesson books, and finally complete a writing component. 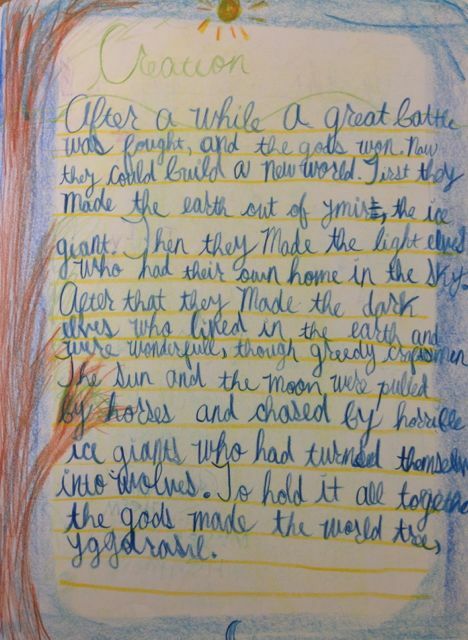 The writing is taken from the story, and provides the opportunity to work on a variety of writing and grammar skills. We began the block by creating these written summaries of the story as a class, with me writing the sentences on the board after we reached a consensus on what to include. After only a few days of this method, we switched to independent composition. To maintain clarity and ensure the students include the most necessary components of the story, I provided a suggested outline on the board. This often got them past the wall of not knowing how to start, and inspired wonderful writing! We increased our independent writing from just a few sentences to between six and nine by the end of the block. We are trying to develop the full writing process from ideas, rough drafts, and editing, to the final version. At this point, the students are able to self-edit for a couple of key elements in their writing, including capitalization and some punctuation. Next, they bring their writing to me for final spelling and sentence structure edits. 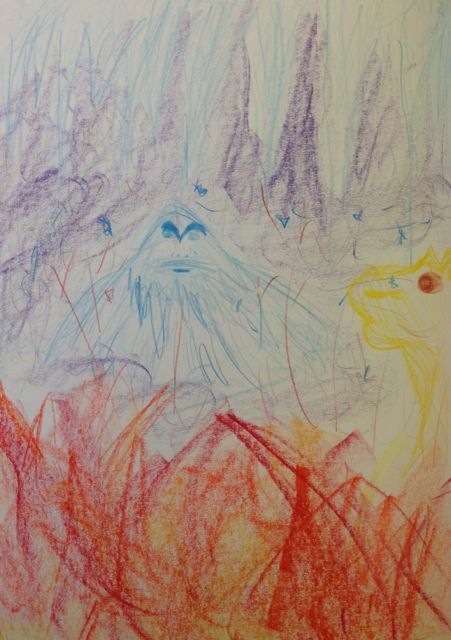 They are then ready to complete a beautiful version in their main lesson books to accompany their drawing. When paired with new grammar concepts and spelling work on the side, I saw amazing improvement in both their writing skills as well as their confidence. 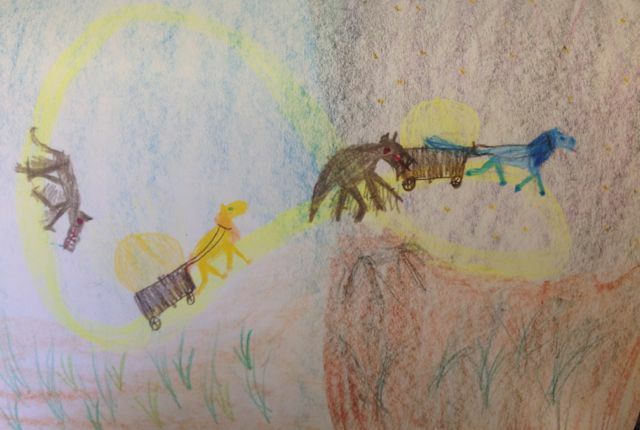 This enthusiasm comes from watching their rich mental images of the Norse myths translate into both beautiful drawings and words on the page. 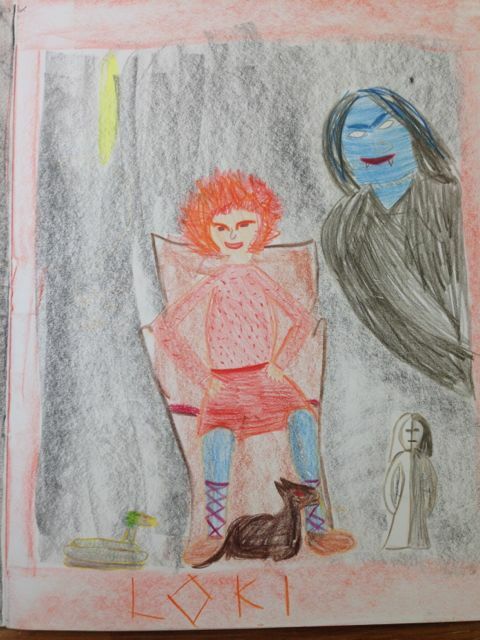 When I challenge them to do the stories justice, they are proud of their work and it allows the image and feeling of each character to live inside them. 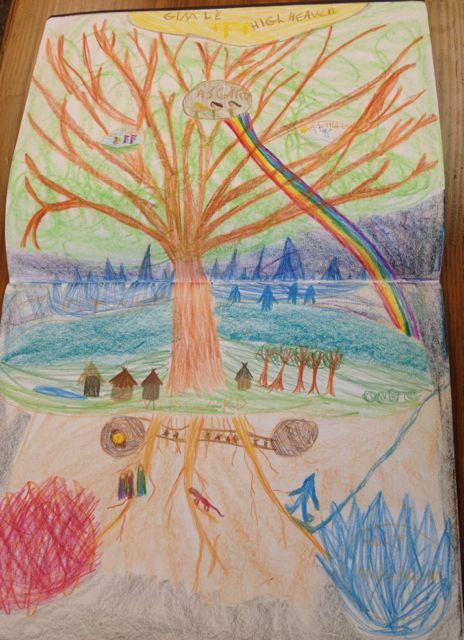 In this first Norse mythology block we heard the Creation story, learned how the worlds fit together on Yggdrasil, the World Tree, and met Odin, Thor and Loki. We will pick back up in January with many more! Until then, we will continue with weekly spelling words, reading group, independent reading, as well as writing composition as it applies to the blocks to come.